With our Royal Mail Special Delivery FREEPOST service, all watches are fully insured for up to £20,000 throughout their postal journey from the moment the package leaves your hand to when it is received by you. Established in 1819, W.E. Clark & Son are a fourth generation family business. We are proud to offer the highest quality watch repairs at our Master Watchmaker’s workshop, in-house here at W.E. Clark & Son jewellers. W.E. Clark & Son has always offered a watch repair service, but in 2014 we launched our own in-house watch repair service employing the skills of a Master Watchmaker. We are one of the few jewellers in the UK to have a Master Watchmaker in-house. Service is of great importance to us and we are dedicated to providing a first-class watch repair service to our customers. It made perfect sense for us to bring our watch repair service in-house. Our talented Master Watchmaker is an expert in all watch repairs including wristwatches, pocket watches and vintage watches. 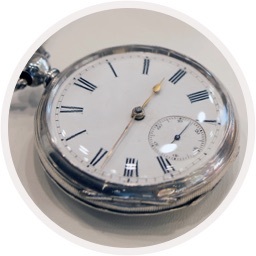 From repairing simple pocket watch mechanisms through to the repair of verge, fusee and repeater movements, and other complex vintage restoration work, our Watchmaker offers unparalleled expertise. 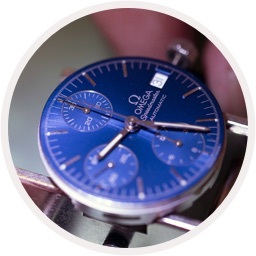 Your timepiece is FULLY INSURED (up to £20,000) by us when using our Freepost Repair Service. All work is fully guaranteed for 1 year. Watch Repairs start from £35. 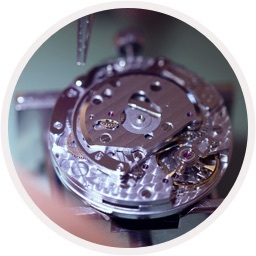 Expert watch repairs carried out by our in-house Master Watchmaker, based in East Sussex. Our watch repair services include watch refurbishment, servicing and part replacement. Refurbishing tired looking watches and servicing all forms of timepieces are our passion and speciality. Come into our Lewes or Uckfield showrooms and we’ll be happy to discuss your watch repair requirements with you. Alternatively, find out more about our FREEPOST Watch Repair Service, or ship your timepiece direct to us from anywhere across the world. With our Royal Mail Special Delivery FREEPOST service, all watches are fully insured for up to £20,000 throughout their postal journey from the moment the package leaves your hand to when it is posted back to you. We are confident you’ll be delighted with our repairs, but for peace of mind a minimum 12 month guarantee is provided for all work undertaken. Our emphasis is on quality of care and ensuring you are happy from the very first time you contact us until after you receive your watch back fully repaired. We are passionate about offering a first-class service at all times. We guarantee we’ll take care of your timepiece and carry out repairs with the utmost sensitivity and expertise. We offer a fully insured postal repairs service for clients across the UK. Request your free pre-paid packaging and send your watch to us for a no-obligation estimate.